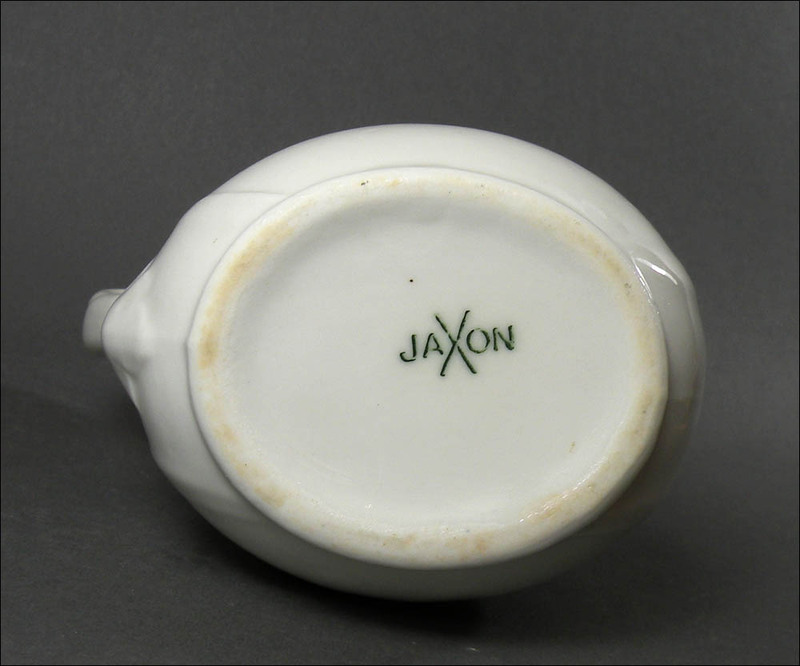 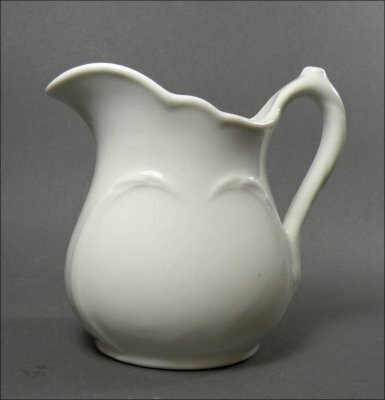 This lovely creamer with its impressed swirl is shown in Jackson's early catalog as a Rocaille Jug. 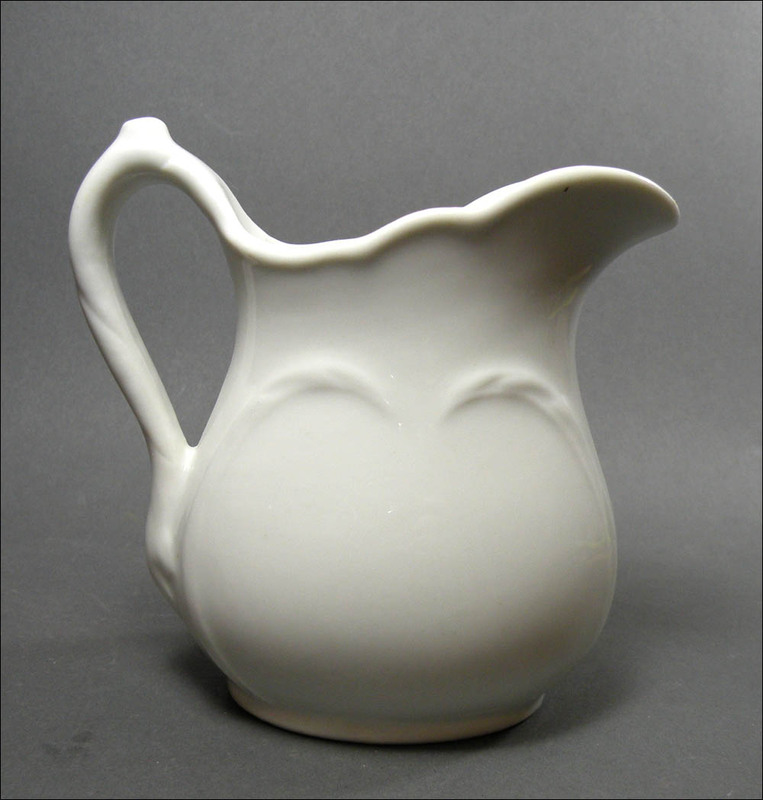 It is approximately 4 3/4 inches wide, including handle, by 4 1/2 inches high. It is in excellent condition, shiny, and has only light use marks.